You’ve finally scheduled the contractors, the workers are coming at 8 a.m., the blueprints are spread out, and you’re ready for a complete overhaul! As you survey the room, you may notice a scared furry face staring back at you. 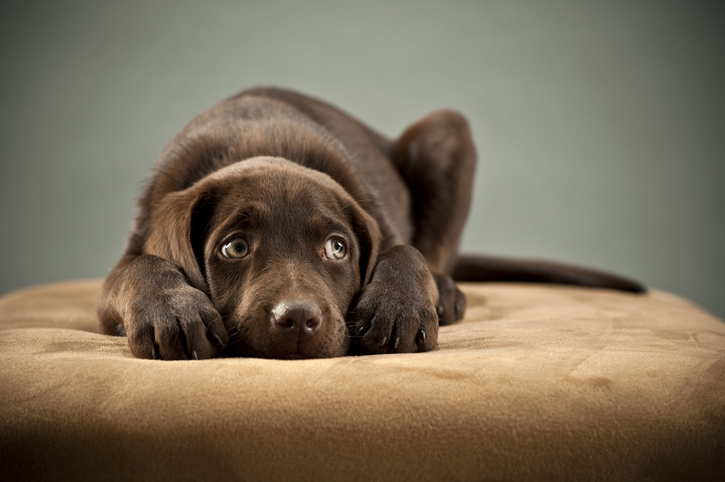 What will you do about your pet during your home renovation? 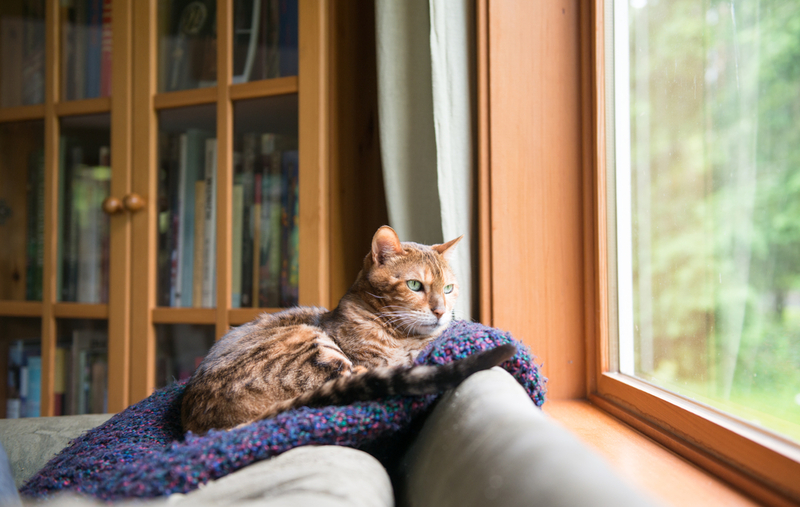 Pets frequently run away from home during construction, so if there’s too much noise or too many new people coming in and out, there’s a good chance your pet will try to high-tail it out of there. Secondly, a lot of the heavy tools and sharp materials of a renovation pose serious danger to your pet—and keeping them out of the line of fire can save their life. But these tips will help you create a plan to keep your pet safe, comfortable, and happy during this stressful time. When you start getting down to the nitty-gritty of home renovation, almost anything could constitute a poison for a pet—cleansers, adhesives, or anything small enough to be accidentally swallowed. Keep these tucked away in cabinets, closets, or boxed up in the garage or basement. Whether you’re moving furniture or heavy appliances, or transporting plywood, pipe, or glass, your pet is in a dangerous situation if he or she isn’t kept away from such hazards. From underfoot to under-vehicle, pets run the risk of getting trampled—or worse—if they’re in the way. Pets are also fearful of too many new people in the house and can behave territorially, which could result in scratches or bites. From jackhammers to shouting workers, a home renovation can create a lot of racket—and that noise can affect your little furry friend! Animals react differently to fear: they can become aggressive or even so submissive that they relieve themselves on the floor. If possible, introduce your pets to the people who will be in and out of your house. This makes everyone aware that there is a pet in the house and to be cognizant of open doors and other hazards. When introducing your dogs to the construction crew, have the workers give them treats, in order to make positive associations for your pet. Even if you’ve sufficiently pet-proofed your home, a renovation will bring many new and dangerous objects into the house—loose nails, sharp remnants, toxic adhesives, etc. Every possible poisonous material needs to be up and out of paw’s way. Cabinets need to be closed, buckets need to have their lids on, and adhesives and fillers need to be capped and put away. Choose a room that is farthest away from the noise and bustle and make it the special room for your pet. If you’re working on the upstairs bedroom, designate a room downstairs, and vice versa. Play soft music to drown out the sounds of your renovation, and have favorite treats and toys—as well as food, water, a bed, and a litter box for cats—at the ready. As soon as the crew arrives, take your dog for a lengthy walk or spend extended time in the backyard. Hit up the dog park or even take a trip hiking and exploring. If you go for a day trip, don’t forget to bring a first aid kit. If it’s summer, watch for signs of overheating. Bonus: getting out of the house will also calm you down. Renovator pros find that they can easily work on dog training if the safe room is far enough away from the noise, or in the backyard. Create an impromptu agility course for dogs, or hide treats in nooks and crannies for a scavenger hunt as well. The easiest and safest plan of action is to find a sitter for your pets in a safe environment away from construction and noise. Take your animal to the local pet boarding facility, or use an app like Rover to find home pet-sitters in your area and get them out of harm’s way. Have your emergency vet number easily accessible (either by magnet on the fridge or saved in your mobile phone) in case of any accidents. Everything from accidental ingestion of materials to physical injury will require fast thinking and a cool head. Having pet insurance can dramatically off-set these costs—sign up at least 15 days before the renovation to make you’re your pets are completely covered. As stressful as renovations can be for you, they can also take a toll on pets who don’t understand what’s happening. Take a moment to consider your dog or cat and how they may react, and figure out the best plan for your furry family. If your cat is high-strung or your dog doesn’t like to be around loud noise, dropping them off at Grandma’s may be the best choice for the week. Content provided by Healthy Paws Pet Insurance. Healthy Paws is one of the leading pet insurance program providers in the U.S. for dogs and cats, and is ranked #1 by customers on leading review websites.